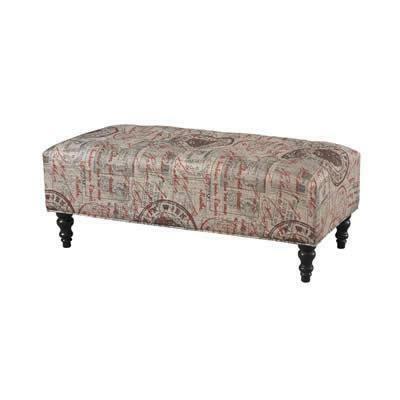 With its eyecatching design, the rectangle postal print ottoman would be the perfect accent for a living/family room. The plush tufted ottoman is upholstered in a postal print fabric and finished with small decorative black legs. Full of style, function and versatility this piece can be used as a footrest, coffee table or even seating! Some assembly required.